It's that time of year again - pumpkin everything! I love it and hate it at the same time. I love it because most of the time pumpkin foods are yummy and delicious. 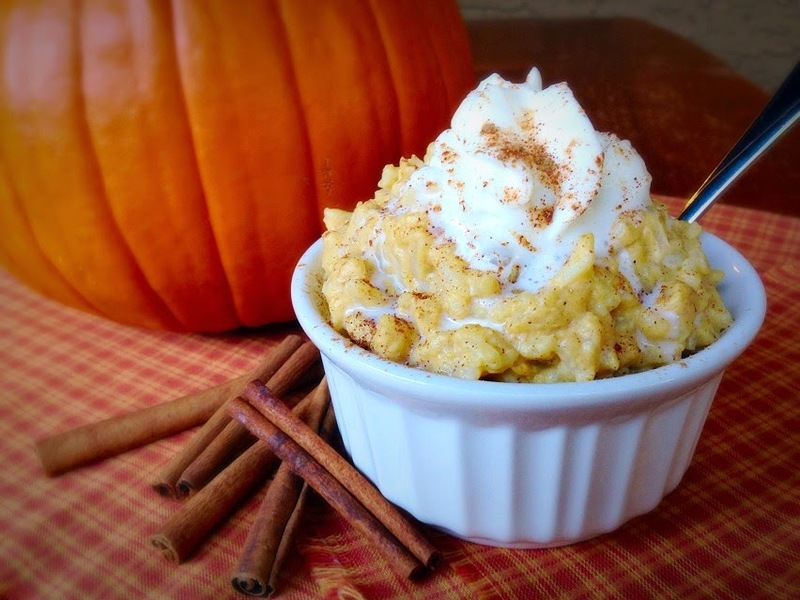 I hate it because some food bloggers take it too far and make some pretty gross stuff all in the name of pumpkin. Let's keep it real, people. 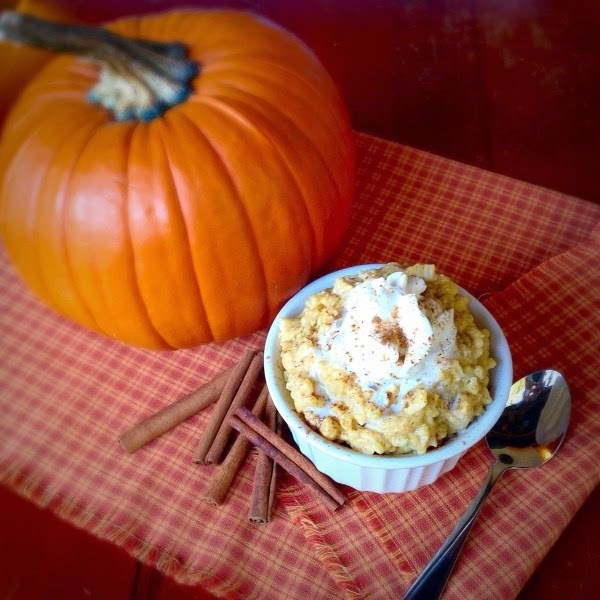 Like this Pumpkin Pie Rice Pudding! This is simply an adaptation of the Rich & Creamy Rice Pudding recipe I posted back in April of 2012. We're using canned pumpkin in place of the half-and-half and pumpkin pie spice in place of the cinnamon. Easy peasy. My daughter LOVES this stuff and I found my husband eating a bowl of it late last night - which means he likes it. :) I only got one serving of it and that makes me sad. Guess I'll be making more! Wondering what to do with leftover canned pumpkin? Here are some ideas: Pumpkin Spice Granola, Pumpkin Pie Oatmeal, Pumpkin Gingerbread Muffins, Pumpkin Spiced Almonds, Pumpkin Bread, Paula Deen's Pumpkin Bars, Pumpkin Chocolate Chip Cookies, Soft Pumpkin Ginger Cookies, Creamy Pumpkin Pie, Pumpkin Cheesecake Pie, Easy Pumpkin Crisp (Pumpkin Dump Cake). Mix the beaten egg with the canned pumpkin; whisk into rice mixture and cook for 2 minutes, stirring constantly. Remove from heat and stir in butter, vanilla, and pumpkin pie spice. Let cool a bit before serving warm with a dollop of whipped cream and a dash of cinnamon. Pudding will thicken upon standing. If you want to serve it cold, cover and refrigerate until chilled. You may need to stir in more milk if the rice pudding has thickened too much while cooling. Makes 4-6 servings, depending on size. You guys have put in so much effort into this brew. The wait is long, but I really hope the beer turns out even better than expected.